A jazz pioneer, Louis Armstrong was the first important soloist to emerge in jazz, and he became the most influential musician in the music's history. As a trumpet virtuoso, his playing, beginning with the 1920s studio recordings he made with his Hot Five and Hot Seven ensembles, charted a future for jazz in highly imaginative, emotionally charged improvisation. For this, he is revered by jazz fans. But Armstrong also became an enduring figure in popular music due to his distinctively phrased baritone singing and engaging personality, which were on display in a series of vocal recordings and film roles. He weathered the bebop period of the '40s, growing ever more beloved worldwide. By the '50s, Armstrong was widely recognized, even traveling the globe for the US. .State Department and earning the nickname "Ambassador Satch." His resurgence in the '60s with hit recordings like 1965's Grammy-winning "Hello Dolly" and 1968's classic "What a Wonderful World" solidified his legacy as a musical and cultural icon. In 1972, a year after his death, he received a Grammy Lifetime Achievement Award. Similarly, many of his most influential recordings, like 1928's "West End Blues" and 1955's "Mack the Knife," have been inducted into the Grammy Hall of Fame. Born in 1901 in New Orleans, Louisiana, Armstrong had a difficult childhood. William Armstrong, his father, was a factory worker who abandoned the family soon after the boy's birth. Armstrong was brought up by his mother, Mary (Albert) Armstrong, and his maternal grandmother. He showed an early interest in music, and a junk dealer for whom he worked as a grade-school student helped him buy a cornet, which he taught himself to play. He dropped out of school at 11 to join an informal group, but on December 31, 1912, he fired a gun during a New Year's Eve celebration, and was sent to reform school. He studied music there and played cornet and bugle in the school band, eventually becoming its leader. He was released on June 16, 1914, and did manual labor while trying to establish himself as a musician. 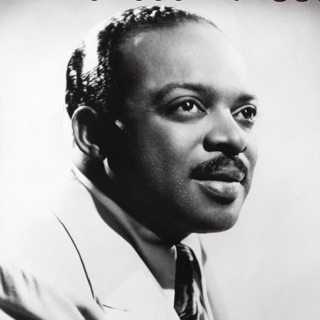 He was taken under the wing of cornetist Joe "King" Oliver, and when Oliver moved to Chicago in June 1918, Armstrong replaced him in the Kid Ory Band. He moved to the Fate Marable band in the spring of 1919, staying with Marable until the fall of 1921. Armstrong moved to Chicago to join Oliver's band in August 1922 and made his first recordings as a member of the group in the spring of 1923. He married Lillian Harden, the pianist in the Oliver band, on February 5, 1924. (She was the second of his four wives.) With her encouragement, he left Oliver and joined Fletcher Henderson's band in New York, staying for a year and then going back to Chicago in November 1925 to join the Dreamland Syncopators, his wife's group. During this period, he switched from cornet to trumpet. Armstrong had gained sufficient individual notice to make his recording debut as a leader on November 12, 1925. Contracted to OKeh Records, he began to make a series of recordings with studio-only groups called the Hot Fives or the Hot Sevens. 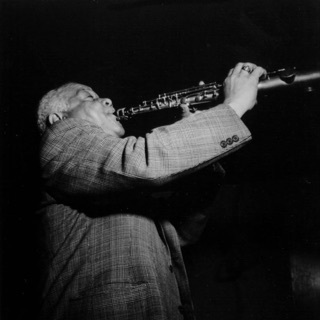 For live dates, he appeared with the orchestras led by Erskine Tate and Carroll Dickerson. The Hot Fives' recording of "Muskrat Ramble" gave Armstrong a Top Ten hit in July 1926, the band for the track featuring Kid Ory on trombone, Johnny Dodds on clarinet, Lillian Harden Armstrong on piano, and Johnny St. Cyr on banjo. By February 1927, Armstrong was well-enough known to front his own group, Louis Armstrong & His Stompers, at the Sunset Café in Chicago. (Armstrong did not function as a bandleader in the usual sense, but instead typically lent his name to established groups.) In April, he reached the charts with his first vocal recording, "Big Butter and Egg Man," a duet with May Alix. He took a position as star soloist in Carroll Dickerson's band at the Savoy Ballroom in Chicago in March 1928, later taking over as the band's frontman. "Hotter Than That" was in the Top Ten in May 1928, followed in September by "West End Blues," which later became one of the first recordings named to the Grammy Hall of Fame. Armstrong returned to New York with his band for an engagement at Connie's Inn in Harlem in May 1929. He also began appearing in the orchestra of Hot Chocolates, a Broadway revue, and was given a featured spot singing "Ain't Misbehavin'." In September, his recording of that song entered the charts, becoming a Top Ten hit. Armstrong fronted the Luis Russell Orchestra for a tour of the South in February 1930, and in May went to Los Angeles, where he led a band at Sebastian's Cotton Club for the next ten months. He made his film debut in Ex-Flame, released at the end of 1931. By the start of 1932, he had switched from the "race"-oriented OKeh label to its pop-oriented big sister Columbia, for which he recorded two Top Five hits, "Chinatown, My Chinatown" and "You Can Depend on Me" before scoring a number one hit with "All of Me" in March 1932; another Top Five hit, "Love, You Funny Thing," hit the charts the same month. He returned to Chicago in the spring of 1932 to front a band led by Zilner Randolph; the group toured around the country. In July, Armstrong sailed to England for a tour. 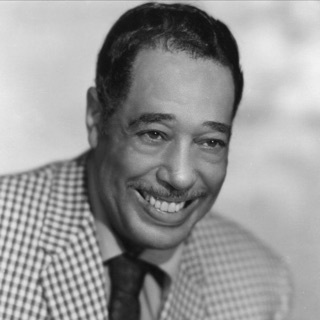 He spent the next several years in Europe, his American career maintained by a series of archival recordings, including the Top Ten hits "Sweethearts on Parade" (August 1932; recorded December 1930) and "Body and Soul" (October 1932; recorded October 1930). His Top Ten version of "Hobo, You Can't Ride This Train," in the charts in early 1933, was on Victor Records; when he returned to the U.S. in 1935, he signed to the recently formed Decca Records and quickly scored a double-sided Top Ten hit, "I'm in the Mood for Love"/"You Are My Lucky Star." Armstrong's new manager, Joe Glaser, organized a big band for him that had its premiere in Indianapolis on July 1, 1935; for the next several years, he toured regularly. He also took a series of small parts in motion pictures, beginning with Pennies from Heaven in December 1936, and he continued to record for Decca, resulting in the Top Ten hits "Public Melody Number One" (August 1937), "When the Saints Go Marching In" (April 1939), and "You Won't Be Satisfied (Until You Break My Heart)" (April 1946), the last a duet with Ella Fitzgerald. He returned to Broadway in the short-lived musical Swingin' the Dream in November 1939. With the decline of swing music in the post-World War II years, Armstrong broke up his big band and put together a small group dubbed His All-Stars, which made its debut in Los Angeles on August 13, 1947. He embarked on his first European tour since 1935 in February 1948, and thereafter toured regularly around the world. In June 1951 he reached the Top Ten of the LP charts with Satchmo at Symphony Hall ("Satchmo" being his nickname), and he scored his first Top Ten single in five years with "(When We Are Dancing) I Get Ideas" later in the year. 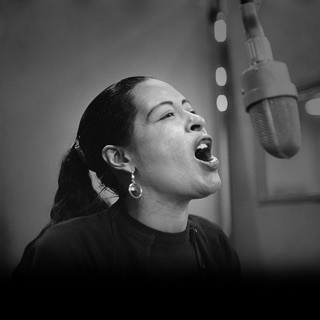 The single's B-side, and also a chart entry, was "A Kiss to Build a Dream On," sung by Armstrong in the film The Strip. In 1993, it gained renewed popularity when it was used in the film Sleepless in Seattle. Armstrong completed his contract with Decca in 1954, after which his manager made the unusual decision not to sign him to another exclusive contract but instead have him freelance for different labels. Satch Plays Fats, a tribute to Fats Waller, became a Top Ten LP for Columbia in October 1955, and Verve Records contracted Armstrong for a series of recordings with Ella Fitzgerald, beginning with the chart LP Ella and Louis in 1956. Armstrong continued to tour extensively, despite a heart attack in June 1959. In 1964, he scored a surprise hit with his recording of the title song from the Broadway musical Hello, Dolly!, which reached number one in May, followed by a gold-selling album of the same name. It won him a Grammy for best vocal performance. This pop success was repeated internationally four years later with "What a Wonderful World," which hit number one in the U.K. in April 1968. It did not gain as much notice in the U.S. until 1987, when it was used in the film Good Morning, Vietnam, after which it became a Top 40 hit. Armstrong was featured in the 1969 film of Hello, Dolly!, performing the title song as a duet with Barbra Streisand. He performed less frequently in the late '60s and early '70s, and died of a heart ailment in 1971 at the age of 69. A year later, he was honored with a Grammy Lifetime Achievement Award.